Often overlooked by its more golf-famous British Isles brethren, the tiny nation of Wales quietly boasts a number of phenomenal courses. It’s had its fair share of championships—The Ryder Cup, Walker Cup, Curtis Cup, and British Senior Open have all been staged on Welsh turf. Wales’s rugged coastline also provides for some of the most dramatic views the game has to offer, with some layouts worthy of drawing comparisons to Pebble Beach and Old Head—but without the price tag. 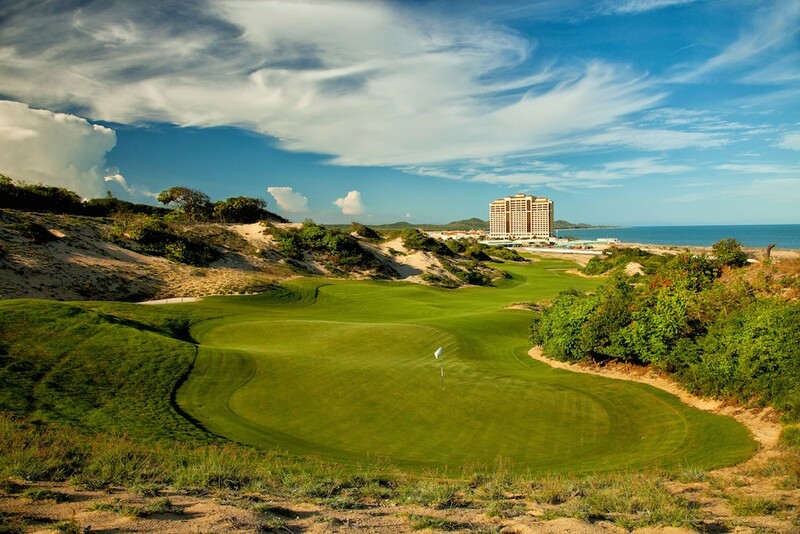 Many courses wind through ancient features such as centuries-old castle ruins and sheep are often more likely to be seen than fellow golfers at others. From Royal Porthcawl to Royal St. David’s, we narrowed it down to 10 must-see layouts in Wales. ROYAL PORTHCAWL Porthcawl The host of numerous significant events, including the Walker Cup, Curtis Cup, and British Senior Open. Its opening and closing stretches are beside the water with most of the middle holes on higher ground, but the Bristol Channel is in view from every tee of this mighty links. 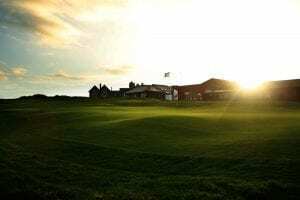 ABERDOVEY Aberdovey “The course that my soul loves best,” wrote the dean of British golf writers Bernard Darwin of his beloved Aberdovey, wedged between the Cambrian Mountains and Cardigan Bay. Its challenge begins tamely but builds as humpy fairways, fast greens, and a persistent breeze conspire to daunt all comers. ROYAL ST. DAVID’S Harlech Crouched beneath the ruins of 13th-century Harlech Castle and backdropped by the Snowdonia Mountains, St. David’s is blessed with an idyllic setting. The flat, nondescript front nine gives no hint of the drama on the inward half, where rambling dunes complicate nearly every shot. SOUTHERNDOWN Southerndown Like Pennard, it sits on the edge of a cliff, 200 feet above the Bristol Channel, but also lies atop a fast-draining limestone heath, so it plays firm and fast. Again, your most likely companions are apt to be sheep. 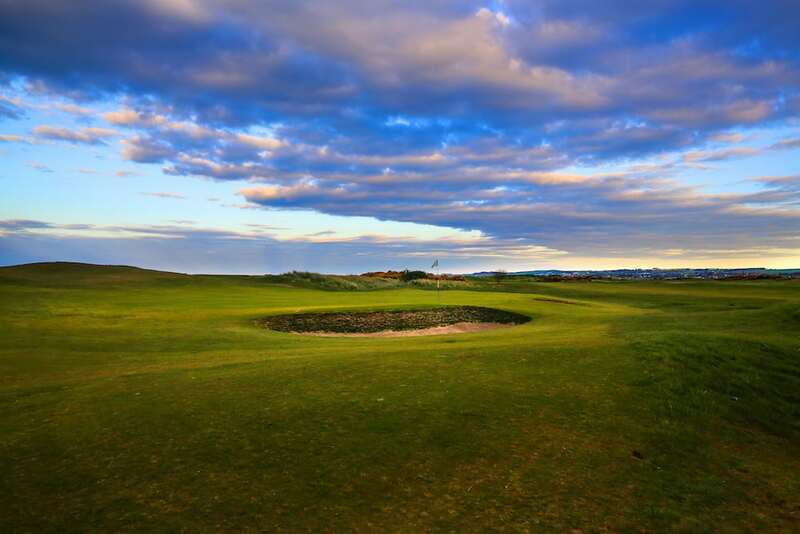 TENBY Tenby South of Aberdovey and Royal St. David’s and set beside a crescent of beach, it’s also the oldest course in Wales (1888), with quirks—crisscrossing fairways, blind shots, bells to ring—that add up to a links with challenge and charm. ASHBURNHAM Burry Port Although designed by J.H. Taylor, one of the “Great Triumvirate” of turn-of-the-century British champions, it was fellow “Great” Harry Vardon who declared this big, muscular links his Welsh favorite. PYLE & KENFIG Bridgend This links might as easily have been dubbed Jekyll & Hyde, for its nines could not be more different. The moorland outward half is unassuming, but the way home, all snaking fairways and dune-cradled greens, is a joy. CELTIC MANOR (TWENTY TEN) Newport The only non-links on the list, it is more American than Welsh, but it produced a thrilling Ryder Cup eight years ago (won by Europe 14 ½ to 13 ½). With several water hazards and some drivable par fours, lesser golfers will experience some thrills of their own.